Rio's new Avid Series of lines were developed for the avid fly fisher with tapers and technology that enhance the fly fishing experience. Avid lines are built with an ultra slick, dirt-repelling coating over a supple core that features AgentX Technology for buoyancy and smoothness and feature a neat welded loop in the front end for fast, easy rigging. 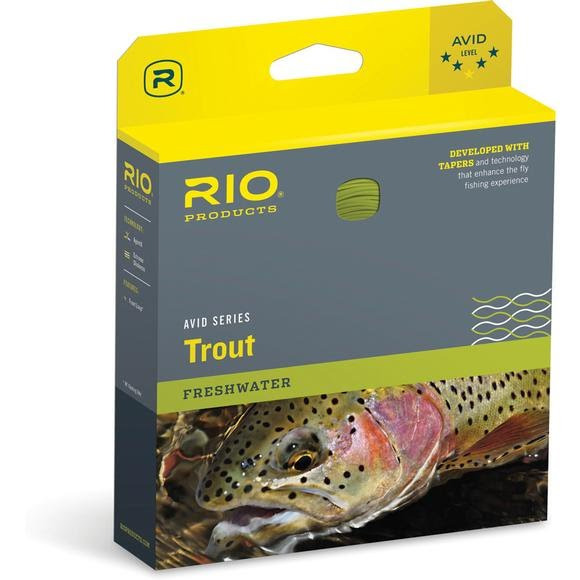 Rio &apos;s new Avid Series of lines were developed for the avid fly fisher with tapers and technology that enhance the fly fishing experience. Avid lines are built with an ultra slick, dirt-repelling coating over a supple core that features AgentX Technology for buoyancy and smoothness and feature a neat welded loop in the front end for fast, easy rigging. All Avid lines are designed for easy casting performance, with slightly heavier and shorter head lengths. Each line is built with pride in Idaho, USA and have the same strict quality control standards as RIO&apos;s premium fly lines.